How do you really see another person? And how do allow yourself to BE seen? 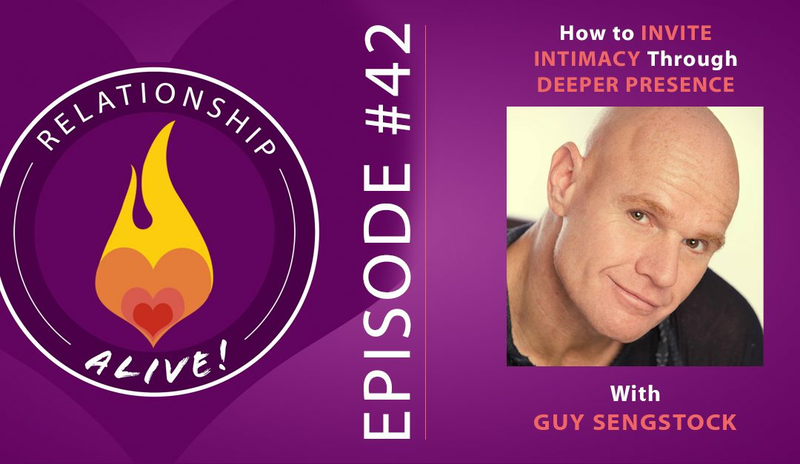 How can you deepen into knowing the people around you, especially your partner, more honestly, more fully? These seem like they would be obvious questions in the case of relationship, and yet so often we plunge into partnership, driven by chemistry and desire, only to wake up later, sometimes years later, and to find that we’re simply going through the motions, vaguely (or extremely) dissatisfied, and knowing on some level that something more is possible. Today, we’re going to take this on directly, to go to the heart of vulnerability – opening up to the experience of the moment with another. Guy Sengstock is the earliest founder of “circling” and the co-founder of the Circling Institute. He’s also an exceptional coach, with a gift to help you see the water you’re swimming in. Circling is a practice that allows you to experience what it’s like to be fully “gotten” by other people – and for them to get a sense of what it would truly be like to be in your shoes. 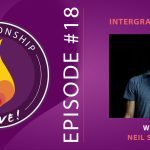 If you enjoyed Episode 13 on Attunement, with Keith Witt, or episode 6, on developing shared consciousness with Patricia Albere, then you are going to love this deep dive into how to really get related with yourself and another human being. What is Circling? Circling is more practice than it is concept. 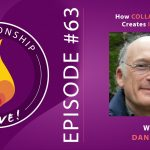 It is a practice that when done in a group is simply following and giving ourselves to what is most alive in the moment with others. It is a presence practice. Like a mantra in meditation or an asana in yoga, the object of focus in Circling is the moment to moment occurrences in relationship. 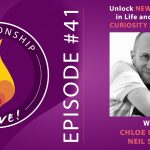 This relational practice helps us become uncomfortable in a particular way, that can help open us to new aspects of ourselves that we then take into our relationships outside of the practice. Relational asanas: At the heart of circling is the simple (yet challenging) intention of speaking the moment, such that you are voicing what you are noticing and sensing AS IT OCCURS. Most human conversations are triangular in that you and I talk about a subject – rarely is it present tense and speaking in, for, and about the moment. Circling is similar to an asana in yoga, but in this case it is a relational asana. How can we learn to not speak about, and rather speak and listen for what is happening right in this moment? When we do this, we step into surprise and mystery because we do not know what will happen next. From this risk, our aliveness and our anxiety increases. Share your anxiety – So many times we hide our anxiety from our partners, and often from ourselves. Anxiety and a nervous feeling helps to illuminate areas of stuckness/friction – a trailhead for finding out what is important enough to cause such an acute sensation! When we learn to share our anxiety with our partner, we show them that we care enough to include them. If and when you notice anxiety in the other, do not take it as a red flag, but rather a moment to get curious- “Oh woah, I’m imagining there is something really important to you that is making you feel so strongly”. 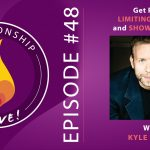 Opening up our most vulnerable and sticky feelings to our partner brings in a whole new dynamic to the relationship! It opens the doors to what is ACTUALLY occurring in a way that can then be explored and known, rather than simply managed. Being in someone else’s shoes. Really feel heard and known. What is it about circling that brings about the experience of real connection? In circling, we really acknowledge ourselves as nervous systems that are inherently open to the world (permeable and transparent to it). When I look at you, I can actually start to imagine what it is like to be in your nervous system. I can start to sense what you are afraid of, how what I am saying impacts you, etc. In all deep levels of conversation and intimacy, what we are saying to the other is “I am close to knowing, understanding, and caring about what you care about”. And in caring about each other, we find out what WE really care about. When we tune in this closely, it is almost as if someone could ask you to make a decision as if you were the other person, and you would feel like you could! Of course, there is a critical line between feeling as though you know someone through being present with them, and believing you know someone. How do you know that you have an assumption? You don’t! Assumptions are inherently places we are unaware – if we know about it, then it isn’t an assumption anymore! Assumptions are a natural reaction to being in relation and we all have and hold them! And they are not to be feared or shamed – in fact, we can even look forward to moments of dissonance. Once an assumption is named, it then becomes great information and material for exploring. What if instead of trying to get to right and wrong (which inevitably leads to repression or argument), you got curious? What if your response to being triggered was to become curious about you, about your partner, about your relationship and what is happening to you, them, and the couple in that moment!? What to do when the record stops. Okay, so everything is going swell, and then all of a sudden the record screeches to a halt, and you and your partner are in a disagreement. How we respond in that moment is going to make a huge impact on how the next moment will unfold. Try letting go of proving who is right and who is wrong- and instead, choose curiosity. What exactly is curiosity? Curiosity is the first thing to go when we contract, and one of the primary aspects of being open. Whatever curiosity actually is, it is deeply connected to our level of openness. And of course, the moments when it would be generative and helpful to be curious are exactly the times when we do not feel it. And so we must choose it. Leaning in: Choosing curiosity might look like this: 1. Acknowledge (with the intention to relate) that something just happened, and 2) Ask your partner: What just happened, for you? What was the impact on you of what I just said/did? How did that occur to you? What did _____ mean to you? How did you take that? Demonstrate that you actually care by showing your intention to really know them. Asking these leaning in questions affirms and acknowledges their otherness, and that you are a being that has no authority to know what they are feeling or thinking, but that you want to share and know! Leaning forward and in with our questions and attention is an act of offering to someone our deep desire to fully understand them. When someone reveals what is true for them, it is an act of their own human freedom, and so when they don’t, we can only respect their individuality and sometimes, share our personal experience: “When you said you don’t know, I just noticed that I was feeling some anxiety in my chest and I started to lean forward more”. This type of sharing – the kind that reveals what is happening inside of us – is unarguable. When we share from this place we gift our partner insight into a space that is wholly, and holy, us. Thus inviting intimacy, and aliveness! Intimacy is a function of our ability to tolerate anxiety. You can’t separate wetness from water – in the same way, you can’t have intimacy without discomfort. 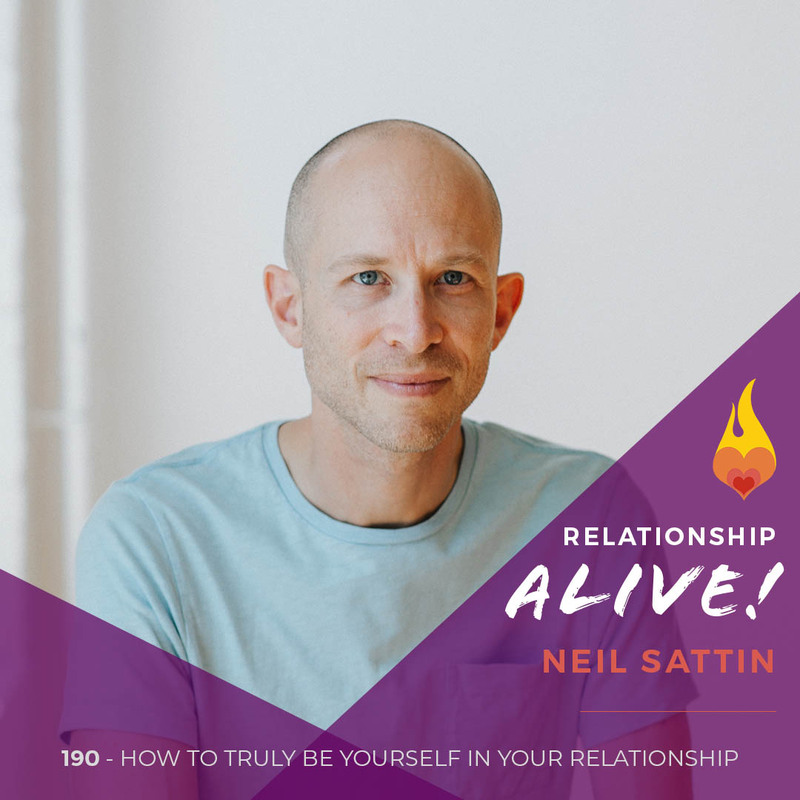 We spend a lot of energy trying to not say truths that we feel might push our partner away. In submitting, controlling, dominating, or dissociating from discomfort we diminish the possibility of intimacy and aliveness. It becomes harder and harder to be ourselves, and we end up risking connection for fear of disconnection. When instead, we share our truth and take that risk, we grow! And yes, it is unpredictable, and yes, it is anxiety producing because it immerses us in a reality that anything could happen. And yet, to have more and more depth and competence in our relationships- we need to just jump in and even invite in more ambiguity! Although scary and uncomfortable in the moment, the times when we share what is really happening for us, we begin to create a deep and genuine sense of security in our relationships. Life is about reaching out to become what it is. By entering into unknown, unpredictable, and uncontrollable territory together, you learn and build what your connection really is. If i am continually willing to be myself, and willing to let you be yourself, then we may actually find out what is really true for us. This is the case because we are not known selves when we enter relationships. As is implicit in nature, in biology, in wherever life unfolds, relationships are a constant becoming. And to become, there must be some friction, or dissonance. Look at evolution! If all had gone perfectly, there would still only be single celled organisms! When life is introduced to irritation, it creates itself in higher order of complexity. Life becomes itself through interactions with discord. This is true in relationships as well. We ourselves are revealed in moments of relational tension. Our reactions and responses are a feedback loop that tells us what is important, and what makes our heart hurt, and grow. Staying present, and being willing to be in the unknown, will inevitably lead to a surprising new sense of aliveness and closeness! TRY THIS AT HOME: In a relationship you care about (with your primary partner or other), simply see what happens when you introduce your experience of what is happening right now, in the relationship. “Right now i am noticing you…. And it makes me feel …..”. Then just pause and find out what happens. Notice that by the time you finish your sentence you don’t know what will happen next! A lot of the time we speak to each other in order to know what will happen after we talk… instead, be willing to move away from triangular conversation- and generously name what is happening for you right now. More specifically, try to bring a practice of gratitude into moment to moment interactions. “I am grateful right now for this moment we are having” or “I’m noticing how you are leaning right now, and I’m feeling so touched by it”. Etc. Remember- every single moment holds the possibility of growth! A present focus invites this sense of aliveness! To read some of Guy’s writings check out his website! 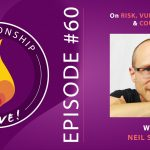 https://www.neilsattin.com/circlecircle Visit to download the show guide, or text “PASSION” to 33444 and follow the instructions to download the show guide to this episode with Guy Sengstock and be entered to qualify for a free two-hour couching session!